A central European security software firm said on Monday that a cyber attack last month in Ukraine was broader than initially reported last week when the nation's Security Service blamed a power outage on Russia, according to Reuters. 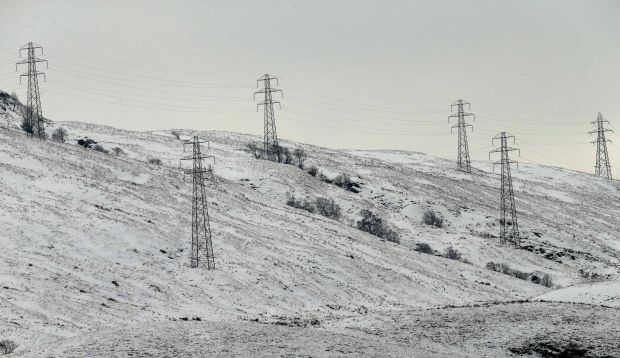 Western Ukraine power company Prykarpattyaoblenergo reported an outage on December 23, saying the area affected included regional capital Ivano-Frankivsk, Reuters reports. Ukraine's SBU responded by blaming Russia, and the energy ministry in Kyiv set up a commission to investigate the matter. "The reported case was not an isolated incident," he said. Prykarpattyaoblenergo publicly blamed its outage on "interference" in the working of its system. The Kremlin did not respond to a request for comment. Researchers with computer security firms Trend Micro and iSight Partners said ESET's assessment that the attackers sought to infect other utilities appeared credible, shedding new light on evidence that this is the first power outage proven to have been caused by a cyber attack. Experts have warned for years, with growing urgency, that electric utilities are vulnerable to cyber attacks that could cut power. "This is the first time we have proof and can tie malware to a particular outage," said Trend Micro senior researcher Kyle Wilhoit. "It is pretty scary." Cyber firm iSight Partners said that ESET's report of multiple attacks is consistent with its own analysis. Read alsoSBU refutes Russian cyberattack on Ukraine’s power companies"There is pretty strong consensus that there was a blackout caused by a computer network attack," said iSight's director of cyber espionage analysis, John Hultquist. Experts with ESET, iSight and Trend Micro told Reuters the attackers used a malicious software platform known as "BlackEnergy" to access utility networks, planting a related piece of malware, "KillDisk," on targeted systems. KillDisk can delete or overwrite data files. Researchers say they have yet to determine whether KillDisk's job was to knock out power or simply conceal the attack. Read alsoMeet Ukraine's cyber crime police tracking down internet hackersCyber criminals have been using versions of BlackEnergy since 2007. Over the past two years, there have been widespread reports that a Moscow-backed group, Sandworm, was using it for targeted attacks.